If there are two things we love more than life itself, it’s dogs and milkshakes. So, imagine how many beats our hearts skipped when we locked eyes on this sweet deal. Just in time for Valentine’s Day, Shake Shack’s hooking us up with their limited edition crush-worthy milkshake, the Love Shack Shake. 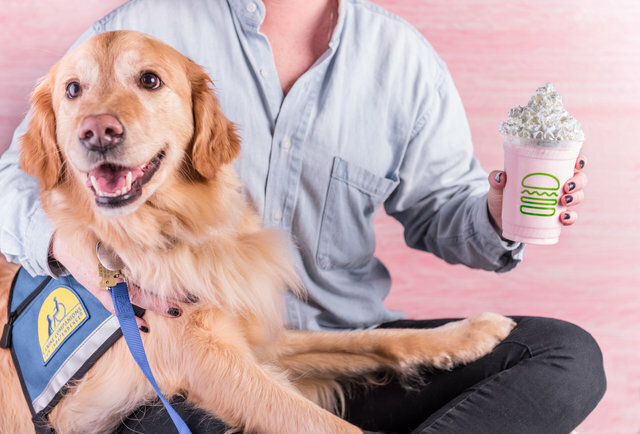 And here’s the best part: The special Valentine’s Day shake will benefit Canine Companions for Independence, a non-profit that matches people with disabilities with highly-trained assistance dogs. Oh, our hearts! Forget about Valentine’s Day Skittles (or maybe just take a short break) and luxuriate in the strawberry blonde sweetness of the Love Shack Shake. Topped with whipped cream and glitter sprinkles, the mind-blowing milkshake takes its name and sugary pop design from party anthem “Love Shack” by The B-52s. And for only $5.99 a pop, the shake’s a steal. But Shake Shack’s Love Shack Shake offers something even sweeter. For every Love Shack Shake sold, Shake Shack will donate $2 to Canine Companions for Independence (CCI). Founded in 1975, CCI raises, trains, and provides assistance dogs to those who need them free of charge. Since its inception, CCI has matched more than 5,600 loving puppers with adults, children, and veterans with disabilities. The millennial pink Shake Shack Love Shack Shake is the perfect Valentine’s Day treat. Valentine’s Day or not, Shake Shack always has a special place in their heart for furry four-legged friends. The popular burger chain offers a dog-friendly menu, including doggie bags of ShackBurger-flavored dog biscuits, at most locations. So head on down to the Love Shack…err, the Shake Shack, for the Love Shack Shake. It’s only available February 9th-18th. But there’s a catch: It’s only available at New York, Los Angeles, and Atlanta Shake Shack locations only. 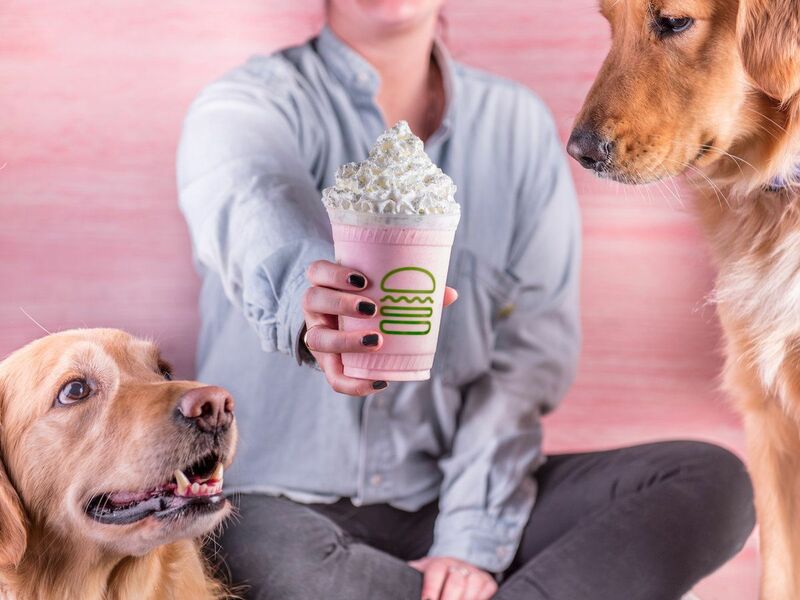 Milkshakes + doggos = #truelove 4-EVA.